Louise Baur is the Professor of Child & Adolescent Health at the University of Sydney where she is Head of The Children's Hospital at Westmead Clinical School. She is also a consultant paediatrician at The Children's Hospital at Westmead, the main paediatric hospital in Sydney, where she works particularly with children and young people with severe obesity and pre-diabetes. Among her various community roles, she is a Director of World Vision Australia. Louise Baur is also a Founding Fellow of the Australian Academy of Health & Medical Sciences and a member of the Academy's Council. 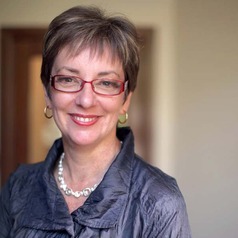 In 2010, Louise Baur was made a Member of the Order of Australia (AM) "for service to medicine, particularly in the field of paediatric obesity as a researcher and academic, and to the community through support for a range of children's charities".